He realized that not everyone is cut out to be a warrior, but all who embrace personal philosophies of freedom and liberty are surely warriors at heart. 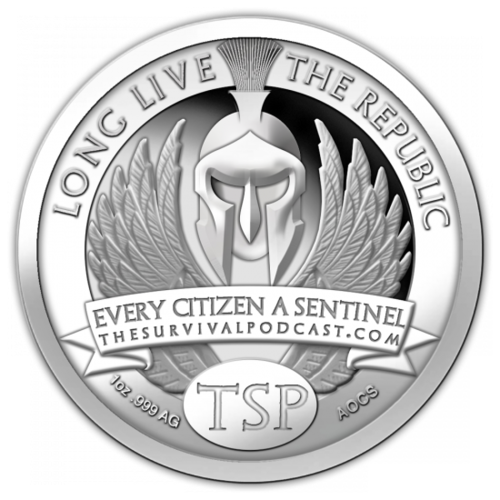 Only some will be labeled a soldier, but anyone can deem him or herself a Sentinel—one who stands watch over their fellow citizens. 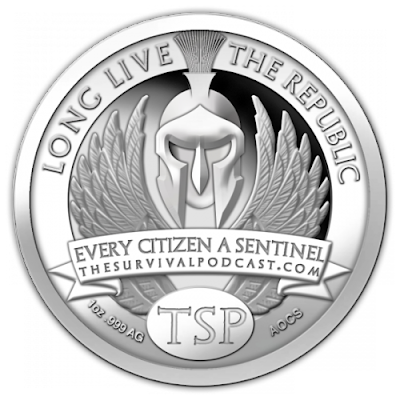 The Sentinel medallion illustrates three of the most iconic moments of resistance and defense of liberty in human history. 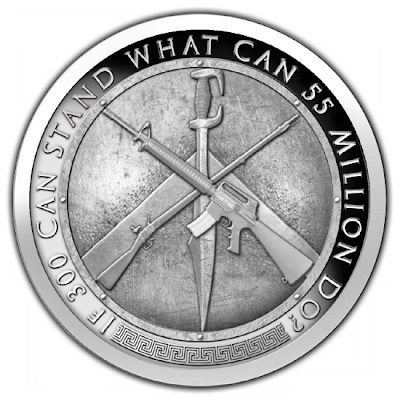 The overlapping symbols on the reverse of the coin—the sword, the musket and the rifle—visually bridge the historical gaps between valiant efforts made to defend a nation’s freedom. The Spartan sword represents the 300 Spartan solders who gave their lives to protect the Greek Republic from the invading Persian kingdom. The musket acts as a symbol of our defiance and declaration of independence from the British Empire during the American Revolution. The AR-15- certainly the most intellectually provocative symbol of the three- represents the modern militia. It encourages us to open our eyes to the growing, tyrannical nature within our back alleys and our boardrooms and realize that we, too may be called upon to take up arms; just as the Spartans and Revolutionaries before us. 300 Spartans stood to protect the Greek Empire--imagine what 55 million American gun owners could do. 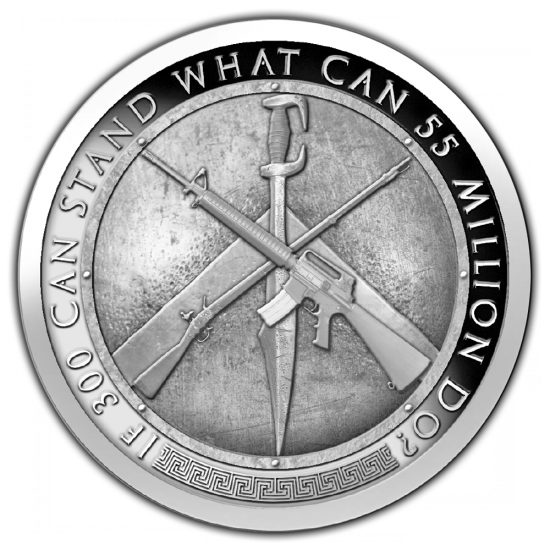 This coin is a celebration of Sentinels—the sword and the musket represent the brave men and women in history who fought for freedom and for the protection of others, while the rifle acts as a reminder that no society is exempt from looming oppression. Not even ours.